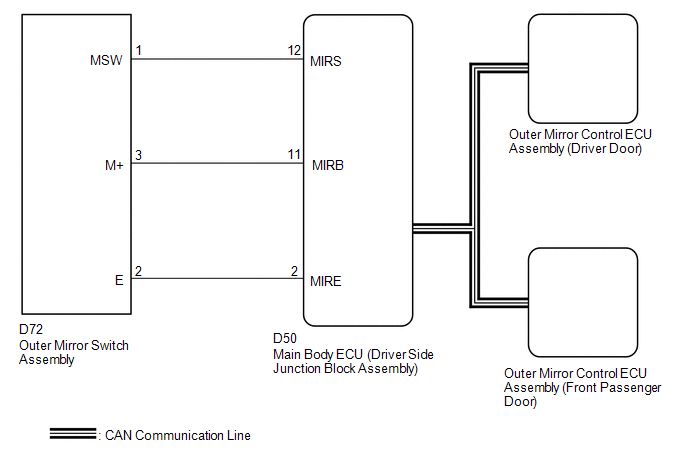 The main body ECU (driver side junction block assembly) detects the mirror adjust switch status and sends the signal to the outer mirror control ECU assembly via CAN communication. 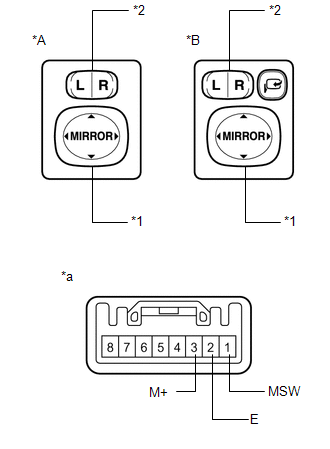 On receiving the signal, each outer mirror control ECU assembly operates the vertical and horizontal mirror motors to adjust the mirror surface position. *: Set the mirror select switch to L or R.